The Toyota Tundra is a full-size pickup truck that focuses on performance and handling ability. Although the Toyota Tundra was built with a strong V8 engine, many truck lovers find themselves looking for more power and torque. K&N has the answer for these power seekers in their new performance air intake system (77-9031-1KP) for 2007, 2008, 2009 and 2010 Toyota Tundras with 5.7 liter V8 engine and for 2008 Toyota Sequoia SUV’s with 5.7 liter engine. Toyota Tundra and Sequoia owners can release a 13.43 peak horsepower gain at 5142 RPM hidden behind their restrictive factory air intake and filter with K&N air intake. K&N completely replaces the stock intake system with a polished aluminum intake tube designed to smooth and straighten air flow. The 77-9031-1KP is equipped with a high-flow chrome top air filter (RF-1042) that is designed to capture harmful particles and will perform for up to 100,000 miles before service is required depending on driving conditions. The 77-9031-1KP air intake system includes a custom heat shield that is designed to funnel cooler air toward the filter. 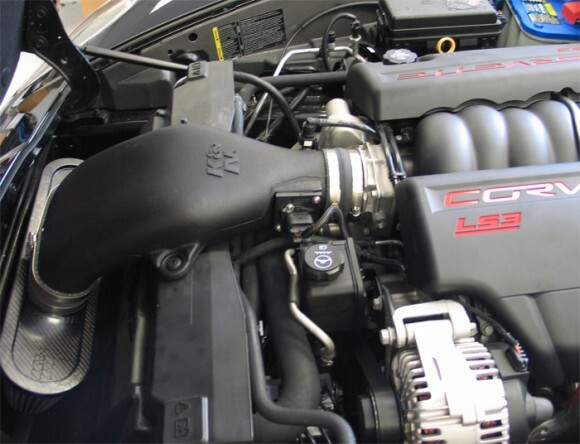 K&N air intake systems can easily be installed using common hand tools in 90 minutes or less. K&N provides detailed instructions that guide you through the installation process making it simple to add power and torque to your Toyota Tundra or Sequoia. K&N’s 77-9031-1KP air intake for the 2007 to 2010 Toyota Tundra and 2008 Toyota Sequoia 5.7L SUV, is backed by the famous K&N Million Mile Limited Warranty. The Chevrolet Corvette’s performance is legendary among enthusiasts and general consumers alike. As America’s premier sports coupe, the Corvette rivals cars that cost four times as much. This makes the Corvette an excellent buy, offering a lot of bang for the buck. 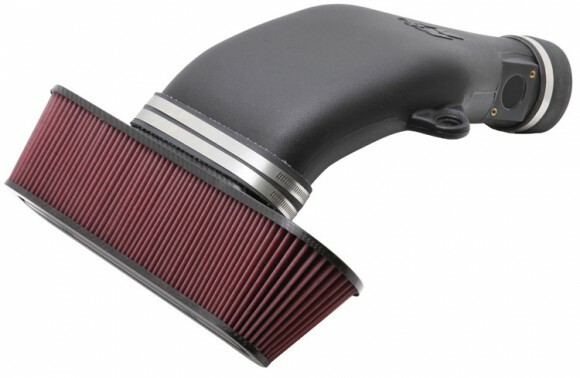 A K&N air intake system is also legendary for offering an outstanding level of performance for the money. 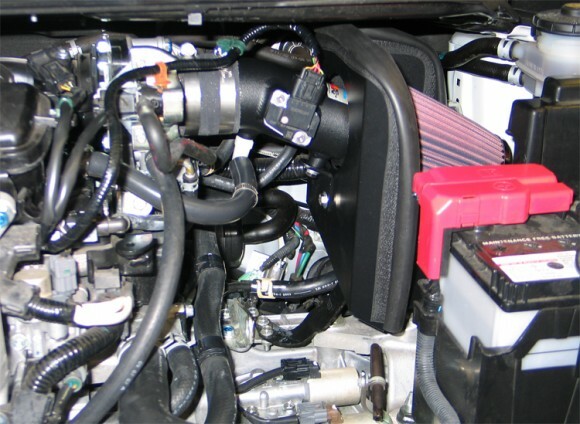 Offering a guaranteed horsepower gain, K&N’s air intake systems will make it seem like you have a different car. K&N’s 63-3073 for the 2008 and 2009 Corvette with a 6.2 liter V8 engine provides an incredible 17 horsepower increase at the rear wheels. K&N’s Research and Development Department tested a 2008 Chevrolet Corvette with a 6.2 liter V8 engine on our in-house dynamometer. Results showed an increase across the RPM range with a dramatic peak horsepower gain of 17.72 horsepower @ 4,750 RPM! K&N’s 63-3073 provides increased performance while maintaining that “O/E” look with a rotationally molded high-density polyethylene tube. 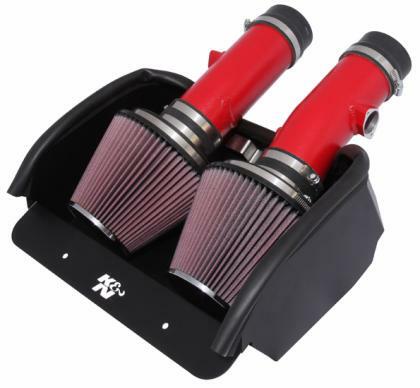 K&N air intakes completely replace the restrictive factory air intake assembly with an aerodynamically engineered tube and an oversized air filter. K&N’s rotationally molded high-density polyethylene tubes offer the most flexibility in design and outstanding horsepower numbers. With a K&N performance air intake system, consumers can count on increased acceleration and horsepower whether winding along a lonely country road or passing cars on a highway. 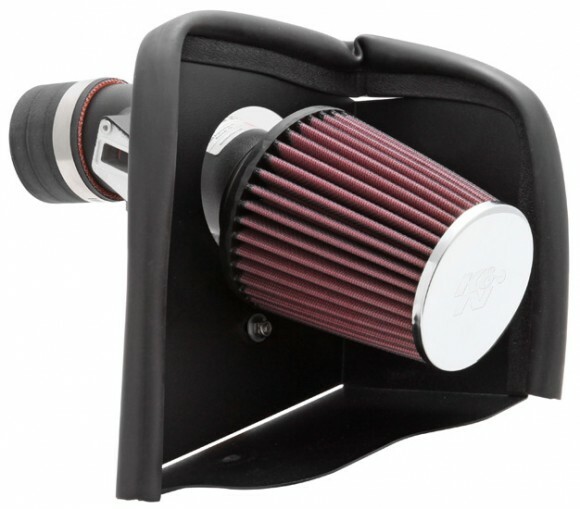 This air intake system uses a uniquely shaped carbon fiber high-flow air filter (RP-5161). This filter captures harmful particles, increases airflow, and also increases service life. This K&N air filter performs for up to 100,000 miles before service is required depending on driving conditions. The 63-3073 takes about 90 minutes or less to install, using simple hand tools, requires no cutting or drilling, and is covered by the K&N Million Mile Limited Warranty. 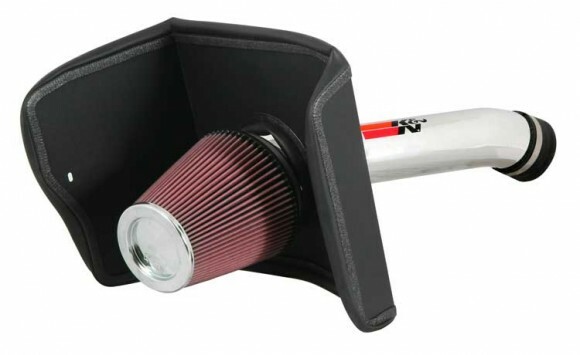 For increased protection and style, K&N offers a Drycharger filter wrap number RP-5135DK that can be used in conjunction with the 63-3073 air intake. Drychargers are made from a durable polyester material containing uniform micron openings which will stop small dirt particles and repel water; yet add little restriction to the airflow of the filter.